Step-parenting has become far more common, but has it become any easier emotionally to bring up another man's child? The story of Christ's birth in Bethlehem is re-told in churches around the world every Christmas. Yet it is often overlooked that for one man, it must have been a time of emotional turmoil. Joseph, the carpenter, had had to swallow the bitter pill of finding out that Mary, his fiancee, was pregnant before their wedding. And the child, according to the gospel accounts, was not his. Today, step-parenting has become far more common. But does that make it any easier to bring up another man's child? And are the story and attitude of Joseph any help to stepfathers today? Among them are Patson Muzuwa, who has embraced his wife's son from another man as his own in the face of hostile reactions from the community; Paul Andrews, who is bringing up his former partner's daughter; and Frederick Clarke, who had to cope with years of hostility from a teenage stepson. 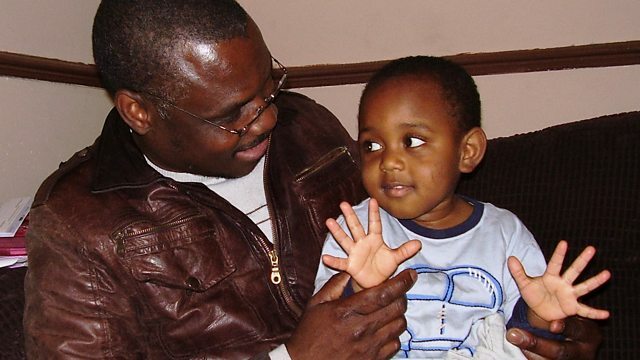 Photo shows Patson Muzuwa with his son Mark.